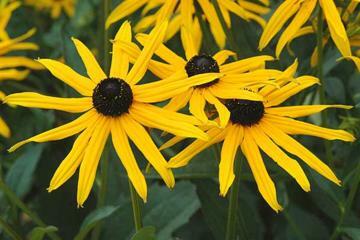 Lovely large, single, orange-yellow daisy like flower with black centres. Flowers continue for weeks, from midsummer to autumn. Plant in large groups for best effect.